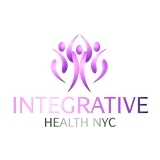 Integrative Health NYC (New York) - Book Appointment Online! We embrace the wisdom of healing traditions of Asia & the West, recognizing the uniqueness of each individual. By treating the BodyMind through Natural Physical & Psychological/Behavioral Modalities the body's innate self-healing potential is maximized leading to mental, physical & spiritual equilibrium, symptom relief & overall well-being.